Today LaCie announced a new version of its 2big professional 2-bay RAID storage solution that now comes with Thunderbolt 3 technology. 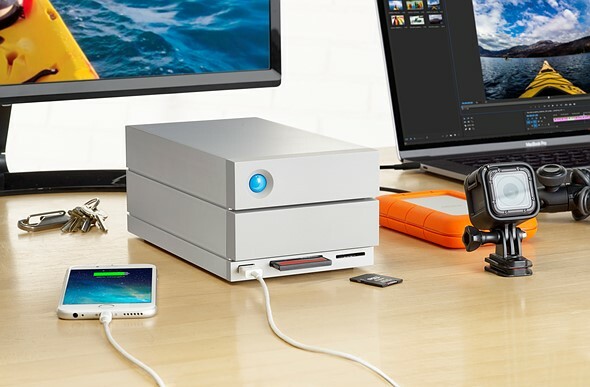 The 2big Dock not only offers fast transfer speeds and up to 20TB of storage, making it an interesting storage solution for professional photographers and video-shooters, but also serves as a docking station that helps simplify the workflow. At the front, SD and CF Card readers allow for easy file transfer from your camera and a USB 3.0 hub can charge a smartphone or other mobile devices or lets you connect a shuttle drive or digital camera an an additional image transfer options. 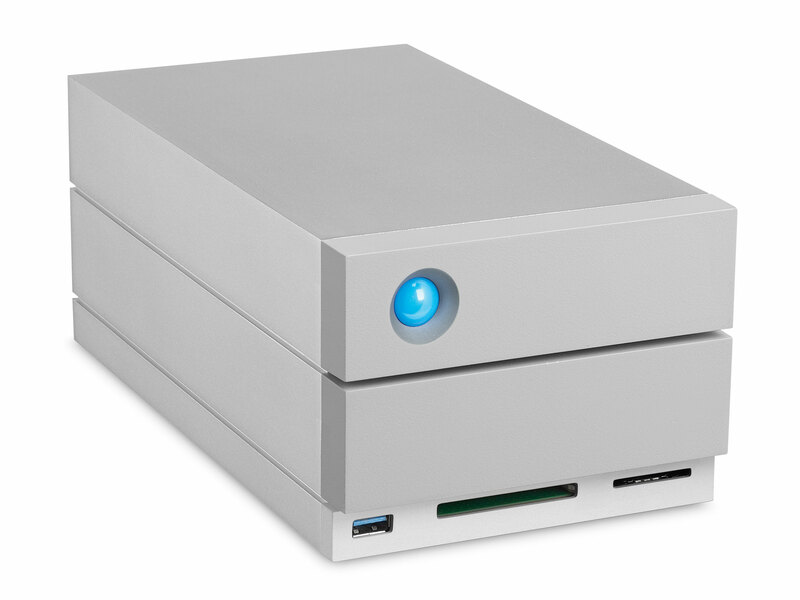 In addition, the LaCie 2big Dock can be connected to displays with up to 4K resolution via DisplayPort technology. Dual Thunderbolt 3 ports can also power a compatible laptop while simultaneously daisy-chaining up to five additional Thunderbolt or one USB-C drive. In addition a USB 3.1 port allows for compatibility with USB-C and USB 3.0 computers via the included adapter cable. The new LaCie 2big Dock will be available in 12TB, 16TB or 20TB capacities this summer and will be showcased at the NAB Show in Las Vegas next week.